The U.S. Forest Service office of Watershed, Fish, Wildlife, Air and Rare Plants (WFWARP) serves as the lead governmental agency for BatsLIVE: A Distance Learning Adventure. The WFWARP offices engages a wide range of biologists and natural resource managers. Protect, sustain, and improve the water and watershed resources and services. Protect ecosystems by ensuring that proposed management activities promote conservation of biological diversity. Restore deteriorated ecosystems by ensuring their biological health, diversity, and productivity. Provide multiple benefits to people within the capabilities of ecosystems by enhancing ecosystem productivity, managing public access, and increasing environmental education. Improve organizational effectiveness by ensuring that: appropriate skills are acquired and maintained; our customers'/owners' needs and desires are understood and used in decision making through collaboration; the best science-based information is available; emphasis is placed on monitoring and evaluation; and findings are applied to improve the effectiveness of our actions. Prince William Network (PWNet) is a part of Prince William County (Virginia) Public Schools and provides quality, distance-learning opportunities to students, educators, and communities across Virginia and the nation. (PWNet) is a leading provider of live, electronic field trips for students and has won numerous national awards. Electronic field trips bring the excitement of learning to remote places with the ability to converse with experts. The National Environmental Education Foundation (NEEF) provides knowledge to trusted professionals who, with their credibility, amplify messages to national audiences to solve everyday environmental problems. Together, we generate lasting positive change. The mission of the Bureau of Land Management is to sustain the health, productivity, and diversity of America’s public lands for the use and enjoyment of present and future generations. 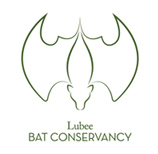 Lubee Bat Conservancy is an international non-profit organization dedicated to protecting biological diversity through the conservation of fruit bats. The Conservancy focuses its efforts on plant-visiting “fruit and nectar” bats because they are vulnerable to extinction yet vital to the world’s rainforests and deserts and to the economies of developing countries. By protecting these bats we are working to conserve the more than 145 genera of plants that depend on them for pollination and seed dispersal; the countless organisms that depend on those plants for food and shelter; and ultimately all people that depend on healthy ecosystems. Bat Conservation International (BCI) is devoted to conserving the world’s bats and their ecosystems to ensure a healthy planet. It was founded in 1982 as scientists around the world became concerned about the alarming decline in bat populations. Bat Conservation International has achieved unprecedented progress by emphasizing sustainable uses of natural resources that benefit both bats and people. 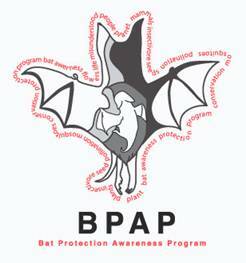 The Bat Protection Awareness Program (BPAP) was born from of an invitation from the “Red de Conservación de Murciélagos de Puerto Rico” located at the Interamerican University of Puerto Rica Bayamon campus and the inquisitive heart of the seventh grade Baldwin School of Puerto Rico. These students give scientific talks to schools around the island that help others realize the importance of bats to their lives and to our ecosystems. The students will also plant and maintain trees that are food for the bats and help distribute seedlings to willing participants around the island. The students are under the guidance of their science teacher, Celia J. Venza, who is also a National Wildlife Federation Ambassador. The Agreement on the Conservation of Populations of European Bats was set up in 1991 under the auspices of the Convention on the Conservation of Migratory Species of Wild Animals (UNEP/CMS) after recognizing the unfavorable conservation status of bats in Europe. Its main aim is to provide a framework for the member countries and those that have not yet joined to co-operate towards a common goal: the conservation of bats throughout Europe. The Midwest Bat Working Group (MWBWG) provides a structure for coordination, collaboration, and communication among concerned citizens and professional biologists in state, federal, academic, and private organizations. The MWBWG is dedicated to the conservation of bats and their habitats, particularly in the Midwestern United States, and works to address bat-related issues with a regional approach. Although most participants are from Arkansas, Illinois, Indiana, Iowa, Kentucky, Michigan, Minnesota, Missouri, Ohio, and Wisconsin, membership is open to anyone who seeks to collaborate on research and management of bats or to promote conservation by enhancing public understanding of bats. The National Cave and Karst Research Institute (NCKRI) is a non-profit government-supported institute headquartered in the City of Carlsbad, New Mexico. Its goals are to conduct, support, facilitate, and promote programs in cave and karst research, education, environmental management, and data acquisition and sharing. Since 1916, the American people have entrusted the National Park Service with the care of their national parks. With the help of volunteers and park partners, the NPS is proud to safeguard these nearly 400 places and to share their stories with more than 275 million visitors every year. The NPS is proud that tribes, local governments, nonprofit organizations, businesses, and individual citizens ask for our help in revitalizing their communities, preserving local history, celebrating local heritage, and creating close to home opportunities for kids and families to get outside, be active, and have fun. The National Wildlife Federation is America's largest conservation organization. We work with more than 4 million members, partners and supporters in communities across the country to protect and restore wildlife habitat, confront global warming and connect with nature. The vision of the Organization for Bat Conservation is to mobilize the nation to actively protect bats and conserve biodiversity. 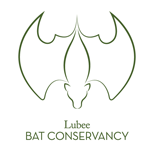 Its mission is to provide the resources to protect bats through live animal programs, community education, collaborative partnerships, and research support, preserving the natural balance of our ecosystem. The project is an environmental education program designed to promote better understanding of caves and karstlands. The Project Underground Curriculum Guide and educational materials are available through workshops. It is a supplemental program for use by educators of kindergarten through high school age students. The purpose of Project Underground is to create and build awareness of and responsible attitudes toward karst and cave resources and their management needs. Project Underground is a source of interdisciplinary instructional activities, and its staff conducts workshops and in-service training programs. These materials and workshops are designed for classroom teachers, cavern, park, museum, and nature center staff, or any youth-oriented group leaders. An Academy Award-nominated Chicago digital video production company, Ravenswood Media produces educational and professional corporate videos. Our nature, wildlife, environmental and science video productions have placed Ravenswood Media at the forefront of the natural history documentary. The United Nations Environment Programme (UNEP), established in 1972, is the voice for the environment within the United Nations system. UNEP acts as a catalyst, advocate, educator and facilitator to promote the wise use and sustainable development of the global environment. To accomplish this, UNEP works with a wide range of partners, including United Nations entities, international organizations, national governments, non-governmental organizations, the private sector and civil society. UNEP also hosts several environmental convention secretariats including the Convention on Biological Diversity, the Convention on Migratory Species and the Agreement on the Conservation of Populations of European Bats. The mission of the Virginia Department of Conservation and Recreation is to conserve, protect, enhance and advocate wise use of the commonwealth’s unique natural, historical, recreational, scenic and cultural resources. Project Underground is a source of interdisciplinary instructional activities, and its staff conducts workshops and in-service training programs. These materials and workshops are designed for: classroom teachers; cavern, park, museum, and nature center staff; or any youth-oriented group leaders. The Western Bat Working Group (WBWG) is a partner in the Coalition of North American Bat Working Groups. The WBWG is comprised of agencies, organizations and individuals interested in bat research, management, and conservation from 13 western states, the Provinces of British Columbia and Alberta, and Northern Mexico. Our facility is dedicated to the conservation of bats and ALL wildlife and to the public education about bats and the importance of these truly magnificent flying mammals. The “Year of the Bat” backed by the United Nations Environment Program, is promoting conservation, research, and education on the world's only flying mammals. There is a special focus on the ecological benefits that bats provide, such as pest control and seed dispersal. The joint campaign, led by the UN's Convention on the Conservation of Migratory Species of Wild Animals (CMS) and the Agreement on the Conservation of Populations of European Bats (EUROBATS), will draw attention to the world's 1100 bat species – around half of which are currently at risk. "Compared to animals like tigers and elephants, bats receive little positive attention," says Andreas Streit, Executive Secretary of EUROBATS. "But they are fascinating mammals and play an indispensable role in maintaining our environment." From insect-eating bats that provide important pest control to seed-dispersing bats in the tropics that help sustain rainforests, bats deliver vital ecosystem services across a wide range of environments. Bat populations in large urban areas can consume up to 30,000 pounds of insects in a single night.